It’s no secret that custom apps are here to stay. They provide easy access to information, include relevant information and provide a way for customers to interact with their favorite companies. With this in mind, iTrip Vacations has released a new iTrip Vacations Travel app for Andriod and Apple devices. 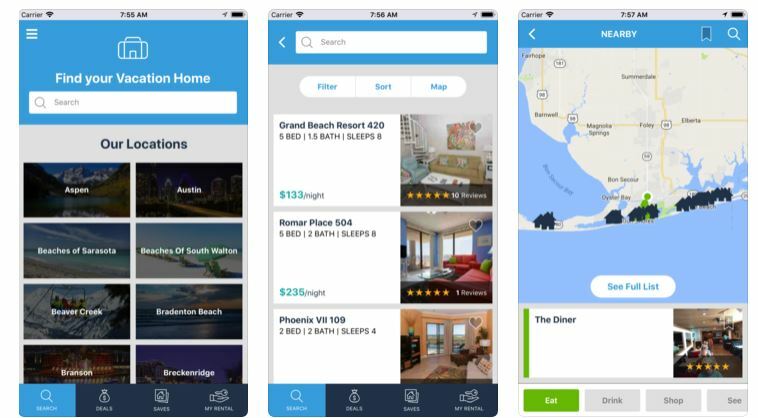 The app makes it easier for customers to search, save and book their ideal vacation rental accommodations — and find nearby necessities and helpful info while on vacation. Check out the new features. Part of the overall search experience, the new design offers an easy way to see all destinations and click on a specific place. Guests now have the ability to search, save and book vacation rentals in one convenient location. 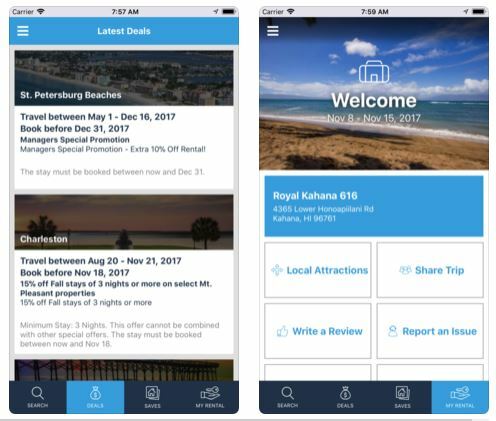 The app includes all 60-plus iTrip Vacations destinations, allows users to save their favorites and links directly to a booked rental. In addition, users have easy access to vacation rental deals. These custom savings are created by iTrip Vacations’ property managers, saving guests time and money. At any given moment, users will find 30-60 rental discounts all across the U.S. Sign up for the bi-monthly iTrip Vacations deals newsletter. Guests also relax knowing that the secure payment platform links directly to iTrip Vacations’ property management software, ensuring easy payment options and secure transactions. Every vacation rental guest wants quick access to the rental and property manager’s information. The My Rental section allows users to view booked vacation rentals and find important information such as check-in and check-out. To provide more helpful on-location information, the iTrip Vacation app syncs with Google and Uber. The Google integration locates nearby restaurants and attractions that vacationers may enjoy. Even better, the property manager can block certain restaurants and attractions that are not highly rated, ensuring guests find the best places in the area. Those who need Uber ride-sharing services also find a link to Uber that allows them to access the app and find available drivers. People love posting to social media and sharing their experience with friends and family. The iTrip Vacations travel app allows everyone to either sign in with their iTrip information or Facebook information. Guests can upload photos and videos directly to their page, or upload to the iTrip Vacations Facebook page. As part of the Facebook integration, users also have the option to participate in monthly contests. The iTrip Vacations travel app contest encourages users to upload photos and videos to the company’s Facebook page. When done, those users enter to win prizes. Download the iTrip Travel app on the App Store. Download the iTrip Travel app on Google Play.